The world of college football has its own unique culture. Many teams have extremely large fan bases who passionately support them. Division I programs are the highest level possible and their teams have stadiums that can hold up to 100,000 fans. College football players do not receive salaries like NFL players do. Instead, they are rewarded with athletic scholarships that provide them with housing and books, as well as pay for their tuition. The first ever college football bowl game was the 1902 Rose Bowl, followed by the Orange Bowl and Sugar Bowl in 1935, the Cotton Bowl Classic in 1937, the Peach Bowl in 1968, and the Fiesta Bowl in 1971. These bowl games are widely televised and are sponsored by different companies. There are about 230 Division I college football teams. 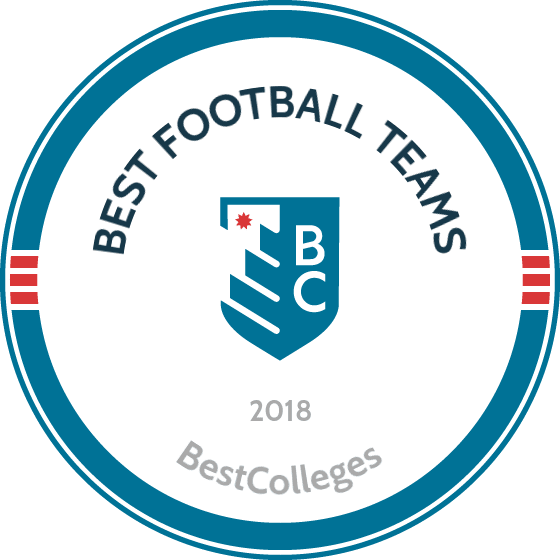 Among them, some of the best teams are those with impressive records, successful teammates and coaches, NFL Draft picks, Heisman trophy winners, large fan bases, and a strong, distinct team culture. The Alabama Crimson Tide football team has won 17 national championships. The team is coached by Nick Saban, who joined the Crimson Tide in 2007. In 2009, running back Mark Ingram became the university's first Heisman trophy winner and in 2015, Derrick Henry became the team's second winner. The Crimson Tide competes in the National Collegiate Athletic Association (NCAA), the Western Division of the Southeastern Conference (SEC), and the Football Bowl Subdivision (FBS). The Crimson Tide have had 355 players drafted into the National Football League, with 61 players taken in the first round. Two of these players have been first overall picks: Harry Gilmer in 1948 and Joe Namath in 1965. Eight players drafted from Alabama have went on to be elected into the Pro Football Hall of Fame. Alabama plays home games at Bryant-Denny Stadium in Tuscaloosa, which is the eighth largest non-racing stadium in the world and the seventh largest stadium in the United States. The Georgia Bulldogs are known for having an enormous fan base. They have won 13 SEC championships, tying them for the second most of all-time with the University of Tennessee Volunteers. The Bulldogs have played in 54 bowl games, also tying them for the second most of all-time in the SEC. The school has produced two Heisman trophy winners and four first overall NFL draft picks, including Detroit Lions quarterback Matthew Stafford. They rank 11th in all-time wins in the NCAA with over 800 games won in their history. Kirby Smart has been the head coach of the Georgia Bulldogs since 2016. Two former Bulldogs have been inducted into the Pro Football Hall of Fame: Fran Tarkenton and Charley Trippi. There have also been 17 former Bulldogs players and coaches inducted into the College Football Hall of Fame. Former Pittsburgh Steelers wide receiver Hines Ward played college football for the Bulldogs. Ward was selected in the third round of the 1998 NFL Draft, became the Steelers' all-time leader in receptions, and was voted the MVP of Super Bowl XL. The Clemson Tigers are one of the founding members of the Atlantic Coast Conference (ACC). The Tigers have 23 conference titles, 17 of which are ACC titles and the most in the ACC. Clemson was in the ACC championship three years in a row from 2015 to 2017. The school has achieved six undefeated seasons and have appeared in 41 bowl games. In the modern era, Clemson has finished in the Final Top 25 rankings 31 times. Dabo Swinney has coached the Tigers since 2008. The team plays home games at Memorial Stadium, which is the 16th largest in college football and is known as "Death Valley," nicknamed by a Presbyterian College head coach in 1948 because of how many defeats his teams faced there. Clemson has played three perfect seasons and has won six divisional titles since 2005. The school has produced more than 100 All-Americans and over 200 NFL players. The Oklahoma Sooners football team is a Division I FBS team in the NCAA and a member of the Big 12 Conference. The Sooners have won seven national championships, 45 conference championships, and boast six Heisman trophy winners. There have been 162 former Sooners selected as First Team All-Americans. Twenty-three Sooners have been inducted into the College Football Hall of Fame, including five coaches and 18 players. The Sooners hold the record for the longest winning streak in Division I history with 47 straight victories between 1953 and 1957. Oklahoma is the only team in the NCAA to have four coaches who have won over 100 wins each. The Sooners play their home games at Gaylord Family Oklahoma Memorial Stadium in Norman, Oklahoma. Lincoln Riley has been the head coach of the Sooners since 2017. The team has had 377 players drafted into the NFL. Of these players, 44 were selected in the first round and four were number one overall picks: Lee Roy Selmon, Billy Sims, Sam Bradford, and most recently Baker Mayfield in 2018. The Ohio State Buckeyes have won 38 conference championships, eight national championships, six division championships, and boast 10 undefeated seasons. In 1942, Ohio State won their first national championship under their coach at the time, Paul Brown. In 2011, the Buckeyes welcomed their current coach Urban Meyer. Meyer is a two-time National Championship winning coach who led the Buckeyes to five division championships during his first five seasons. In 2017, Ohio State won their second Big Ten title under Urban Meyer. A 2011 study done by New York Times reporter Nate Silver of college football fans showed that the Ohio State Buckeyes have the most fans of any college football team in the country. The Buckeyes play their home games at Ohio Stadium in Columbus. The stadium housed the largest crowd in stadium history on November 26, 2016 in a game against the rival Michigan Wolverines. The UCF Knights are located in Orlando and play in the East Division of the American Athletic Conference (AAC). The Knights are coached by Josh Heupel who used to play and coach at Oklahoma and was an offensive coordinator at the University of Missouri. UCF plays their home games at Spectrum Stadium, which seats 44,000. In 1966, the Knights became the only program in NCAA history to have played in all four football divisions. UCF has won five conference championships and five division conferences. They had an undefeated season in 2017 and claimed a national championship that year despite the fact that they were excluded from the season's College Football Playoff. UCF has produced three Heisman Trophy candidates: Daunte Culpepper, Kevin Smith, and McKenzie Milton. The school has had four first-round NFL draft picks and has had players in 14 Super Bowls. The Wisconsin Badgers have been a part the Big Ten Conference since its formation in 1896. The Badgers have had two Heisman Trophy winners: Alan Ameche and Ron Dayne. They have also had nine former players inducted into the College Football Hall of Fame. The Badgers play their home games at Camp Randall Stadium which is the fourth-oldest stadium in college football. Camp Randall Stadium has been the home to the Badgers since 1895 and is the fifth largest stadium in Big Ten Conference. Wisconsin has had 294 players selected in the NFL Draft with 28 first round draft picks. Out of these 294 players, three have been inducted into the Pro Football Hall of Fame and 25 were voted into the Pro Bowl at some point during their career. Winner of the 1999 Heisman Trophy, Badger Ron Dayne went on to have a successful career as a running back for the New York Giants, Denver Broncos, and Houston Texans. Dayne played in the NFL for eight seasons. The Penn State Nittany Lions were established in 1887 and have accomplished a great deal since their inception. The Nittany Lions have earned two consensus national championships and four Big Ten Conference Championships. Penn State has made 48 appearances in college bowl games and is ranked eighth in all-time total wins. Penn State's home games are played at Beaver Stadium in University Park. Beaver Stadium seats 106,572 and is the second-largest stadium in the Western Hemisphere. In 1973, the team had their first player win the Heisman Trophy: John Cappelletti. Penn State is also one of 11 schools with more than five inductees into the Pro Football Hall of Fame. James Franklin has been Penn State's head coach since 2014. Franklin is a former quarterback for Stroudsburg University of Pennsylvania. He was the quarterback all four years of his college career and set seven school records during that time. The Auburn Tigers were one of the inaugural members of the Southeastern Conference (SEC) when the conference was created in 1932. The Tigers have won five national championships, 12 conference championships, and eight divisional championships. The school ranks 13th on the list of the most wins in the FBS with over 700 victories. Auburn has produced three Heisman Trophy winners: Pat Sullivan in 1971, Bo Jackson in 1985, and Cam Newton in 2010. Newton was drafted first overall in the 2011 NFL Draft by the Carolina Panthers. Auburn plays their home games at Jordan-Hare Stadium. The Tigers have a rivalry with in-state team Alabama Crimson Tide. The rivalry is one of the biggest in all of college sports. The Miami Hurricanes compete in the Coastal Division of the ACC. The program began in 1926 and has won five AP national championships. Miami holds the record for the most first-round selections in a single NFL Draft and the most consecutive drafts with a minimum of one first-round selection. Mark Richt has been the Hurricanes' head coach since 2015. Richt played college football for Miami as their quarterback. He has the third highest winning percentage among the FBS Division 1 coaches and has produced the second highest amount of draft picks with 93 players drafted into the NFL. The Hurricanes play their home games at Hard Rock Stadium, which has hosted five Super Bowls. The Hurricanes have produced two Heisman Trophy winners and nine former players have been inducted into the College Football Hall of Fame. The Michigan Wolverines won the Rose Bowl in 1902, the first college football bowl game ever played. The Wolverines have the most all-time wins in college football history and the highest winning percentage among all FBS teams. Michigan is a part of the Big Ten Conference and has won 11 national championships. From 1900 to 1989, each of Michigan's nine head coaches were inducted into the College Football Hall of Fame as either coaches or players. The Wolverines have produced a high number of players who have been selected in the NFL Draft, including Tom Brady, the quarterback for the New England Patriots who has won five Super Bowls. Michigan has a large fan base and boasts record-breaking attendance at their home games. Their rivalries with the Ohio State Buckeyes and Michigan State Spartans regularly garner large crowds. The Wolverines play their home games at Michigan Stadium in Ann Arbor. Michigan Stadium is nicknamed "The Big House" because it is the largest stadium in the U.S. and the second largest stadium in the world. The TCU Horned Frogs football program began in 1896, and the team joined the Big 12 Conference in 2012. The Horned Frogs have won two national championships in 1935 and 1938. TCU has produced one Heisman Trophy winner, Davey O'Brien, and has had eight former players inducted into the College Football Hall of Fame. TCU is one of four FBS teams to have played in all six of the College Football Playoff Bowls; they have won all but the Fiesta Bowl and Orange Bowl. Gary Patterson has been the head coach for TCU since 2000. In 2017, Coach Patterson and TCU accomplished their tenth 11-win season which is the fourth most since 2001 in all of college football. The Horned Frogs play their home games at Amon G. Carter Stadium in Fort Worth. The Notre Dame Fighting Irish is one of only six NCAA football teams that competes as an Independent. The team plays five games each year against teams who play in the ACC. Notre Dame has won 13 national championships and they share the record for most Heisman Trophy winners with Ohio State, having seven players who have won the award. Notre Dame has produced more than 100 All-Americans and they have had 52 players inducted into the College Football Hall of Fame, as well as 13 former players inducted into the NFL Hall of Fame. Notre Dame had had 495 players selected in the NFL Draft and is the only school to have a contract with NBC to televise all of their games. The team is one of the most financially valuable teams in NCAA football, which is one of the main reasons they have decided to remain independent. The USC Trojans have had the most players selected in the NFL Draft, with 502 player drafted. The Trojans have produced more first-round draft picks than any other school with 80 players through 2017. USC is also the school that has the most players in the Pro Football Hall of Fame, with 12 former players inducted. Clay Helton has coached the Trojans since 2015. The team has produced well-known NFL players such as O.J. Simpson, Carson Palmer, and Reggie Bush. The Trojans have produced six Heisman Trophy winners: Carson Palmer, Matt Leinart, Charles White, Mike Garrett, O.J. Simpson, and Marcus Allen. The team plays their home games at the Los Angeles Memorial Coliseum which is the largest stadium in the Pac-12 Conference. The MSU Spartans are members of the Big Ten Conference and have won six national championships, nine Big Ten championships, and two Michigan Intercollegiate Athletic Association championships. The Spartans play their home games at Spartan Stadium on the school's East Lansing campus. Spartan Stadium ranked in the NCAA's Top 25 for attendance for 61 consecutive seasons from 1953 to 2016. MSU has produced 31 consensus All-Americans. The Spartans were established in 1896 back when the university was known as Michigan Agricultural College. The team used to play at Old College Field until 1923 when Spartan Stadium was built. The stadium is the sixth largest in the Big Ten Conference with a seating capacity of 75,005. Mark Dantonio has coached the Spartans since 2007. The Oklahoma State Cowboys are a part of the Big 12 Conference. The Cowboys won the 1945 Sugar Bowl and the 2011 Fiesta Bowl. They have won 10 conference championships, six of them outright and four of them shared. The Cowboys have played in 28 bowl games and are 4-4 in the six major bowl games: Sugar, Fiesta, Peach, Rose, Orange, and Cotton Bowl Classic. The Cowboys play their home games at Boone Pickens Stadium in Stillwater, Oklahoma. The stadium boasts a seating capacity of 60,218. Mike Gundy has coached the Cowboys since 2005. Gundy was Oklahoma State's quarterback from 1986 to 1989 and was voted Player of the Year in 1986. Gundy is the all-time leading passer at Oklahoma State and Big 8 Conference history. The LSU Tigers are members of the Western Division of the SEC. LSU is ranked 16th for the most victories in NCAA Division I history and they have won three national championships. LSU also boasts 15 conference championships and 27 consensus All-Americans. In the beginning of the 2017 NFL season, 51 former LSU players were on active rosters in the NFL, which is the most of any of the college programs. Ed Orgeron has been LSU's head coach since 2016. Previously, Orgeron was the coach for the Miami Hurricanes where he recruited Dwayne Johnson as a defensive lineman. Johnson later became known as "The Rock" as a professional wrestler before beginning a very successful acting career. The Tigers have had 320 players selected in the NFL Draft with 41 players taken in the first round, including two number one overall picks. The Northwestern Wildcats play in the Big Ten Conference and has won three Big Ten championships. The team has been bowl eligible for six out of the last seven seasons. Northwestern is among the national leaders in their graduation rate for football players. They have produced many great athletes, including previous first-round draft picks Napoleon Harris and Luis Castillo as well as Minnesota Vikings quarterback Trevor Siemian. The Wildcats have played their home games at Ryan Field since 1922. The stadium is the only one in the Big Ten without permanent lighting and has a seating capacity of 47,130. Pat Fitzgerald became the coach for the Wildcats in 2006 when former coach Randy Walker unexpectedly passed away. Fitzgerald was only 31 when he became the Wildcats' coach, making him the youngest coach in the Big Ten Conference at that time. The FSU Seminoles play in the ACC and are known for their iconic helmets, colors, and fight song. FSU has won three national championships, 18 conference titles, and six division titles as well as one playoff appearance. The Seminoles have had three undefeated seasons and finished in the top four of the AP Poll for 14 years in a row from 1987 to 2000. The Seminoles have produced three Heisman Trophy winners: Charlie Ward, Chris Weinke, and Jameis Winston. They have also produced 218 All-Americans and have had many players go on to have successful careers in the NFL. Willie Taggart became the Seminoles head coach in 2017, making him the first black permanent head coach at Florida State. Taggart was also the first black head coach at Western Kentucky, South Florida, and Oregon. The Stanford Cardinal are members of the North Division of the Pac-12 Conference. Stanford played against Michigan in the first-ever Rose Bowl in 1902. From 1930 to 1972, Stanford was known as the "Indians" and from 1972 to 1981 they were considered the "Cardinals." Now, they are known as the Cardinal. The team participates in the annual Big Game rivalry game against California, which is known as the oldest rivalry in the Pac-12. The Cardinal have played in 29 bowl games, 15 of which were in the Rose Bowl, which is the third-most appearances of any team. Former quarterback Jim Plunkett is the only Stanford player to win the Heisman Trophy. David Shaw has been the head coach at Stanford since 2011. Shaw played for the Cardinal as a wide receiver from 1991 to 1994. The schools in this ranking were judged on several criteria. Team performance in the 2017 season was examined, as well as the historic performance of each football program. Another important criteria was ticket sales. Finally, teams that produce a large quantity of players drafted into the NFL fared better in this ranking.